Award winning web design agency in London, we design, build and maintain websites for a range of clients from global giants to our local pub. From a single page parallax website to the high-level dynamic Drupal beasts, we design and build websites - and love them all. Everything is done in-house from scoping to design to SEO to development to delivery. Clients include: British Council, UCL, Goldman Sachs, The Times, GLA, Mayor of London and our local pub. Plumbster are London based plumbing, maintenance and electrical contractors. They provide 24 hour emergency call out plumbing in London. They also provide Jetting, Electrical and Maintenance work. We were tasked with building a site that would showcase the breadth of all of these services. 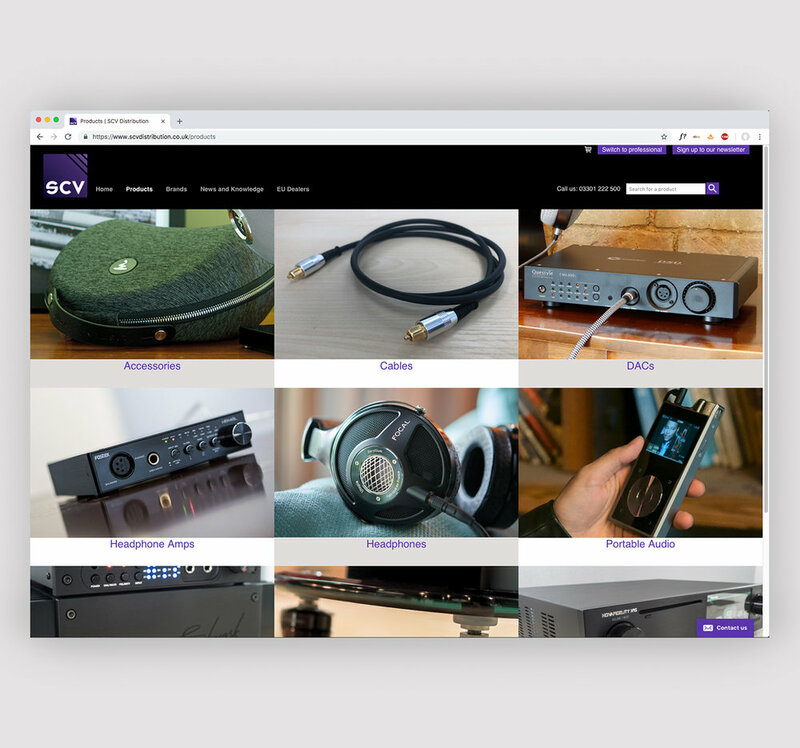 SCV Distribution is a trade-only distributor/wholesaler supplying to Pro Audio, Musical Instrument and Hi-Fi stores throughout the UK and Ireland. 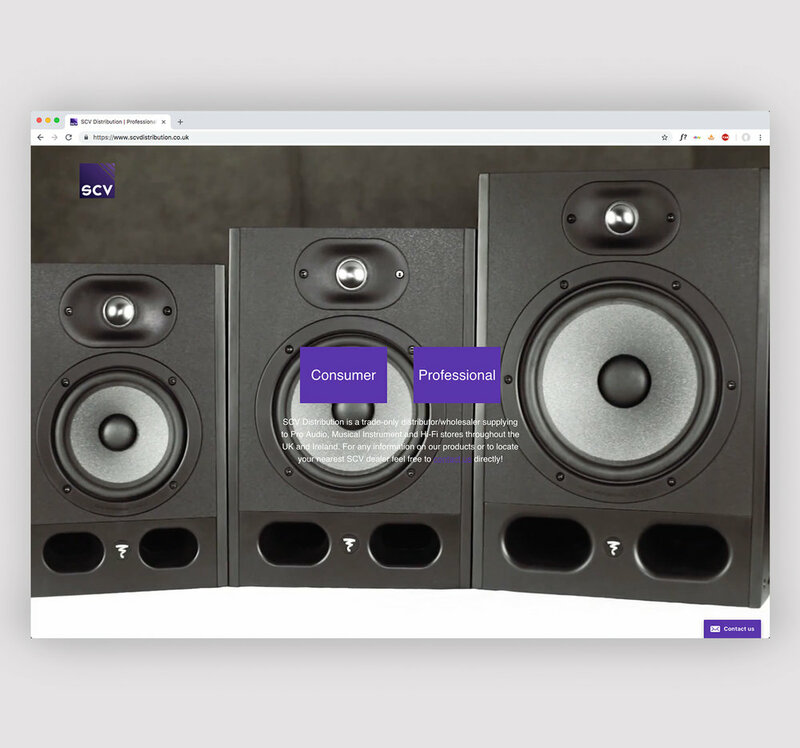 We were contacted and commissioned to re-design their website. There are two ways to view this, either as a consumer or a professional. Any UK University can become a part of OPEN SME. The website provides a platform for universities to engage with businesses by offering their skills, services and facilities. This can range from a research partner, internships to hiring specialist equipment. The site is fully automated, searchable and has a strong SEO strategy. IP pragmatics approached Navig8 for a corporate identity review. Since then we have provided exhibition and display, design for print, press advertisements, website and regular HTML emails. 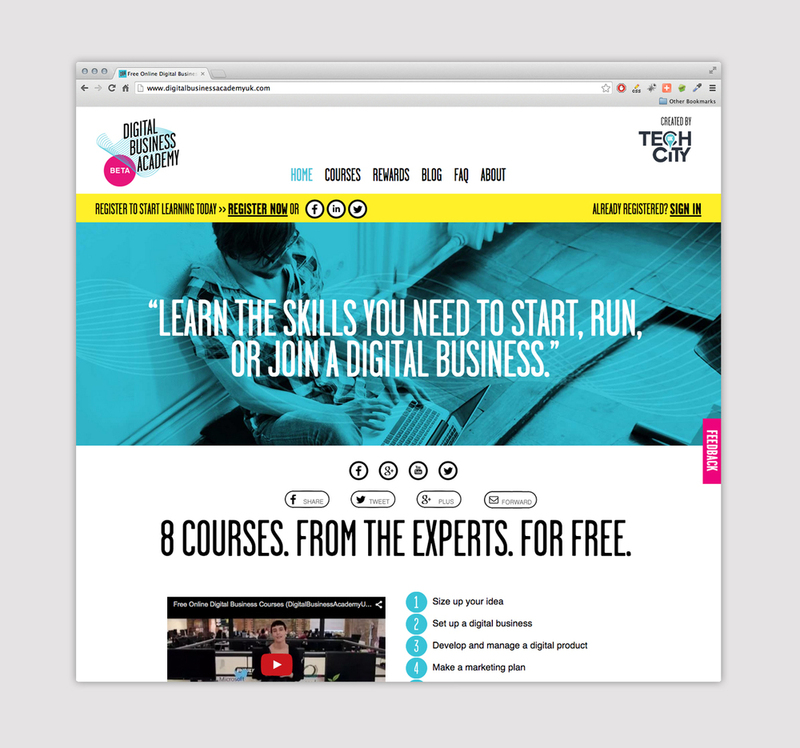 Digital Business Academy was created by Tech City UK in partnership with leading educational institutions, businesses and organisations, to give participants the business skills needed to succeed in a digital world. 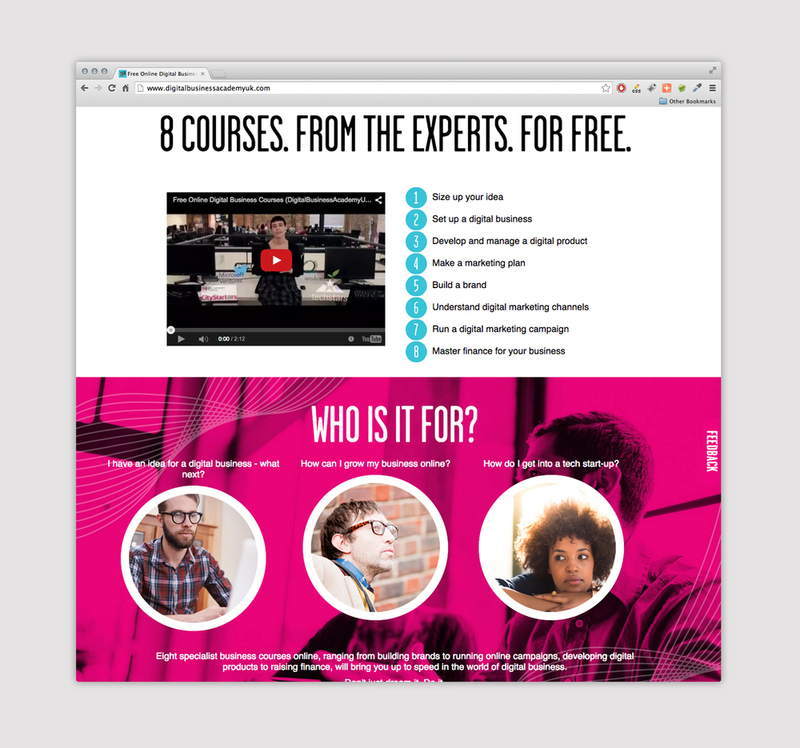 Eight online courses have been designed by experts and are available for free. Navig8 created the brand, identity and front end build of the website. since the sites launch we have continued to design press advertisements, design for print, HTML emails and marketing activities. 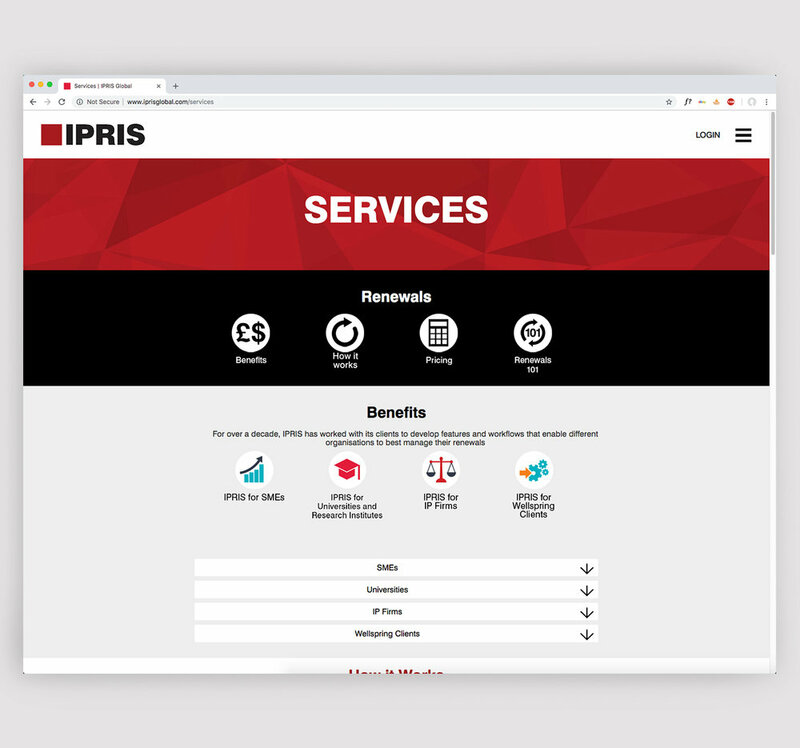 IPRIS AG understands the unique challenges faced by companies, universities and government labs when managing their intellectual property portfolios. We were tasked to re-design their website to make it more current and make it easy for people to understand exactly how they can help. 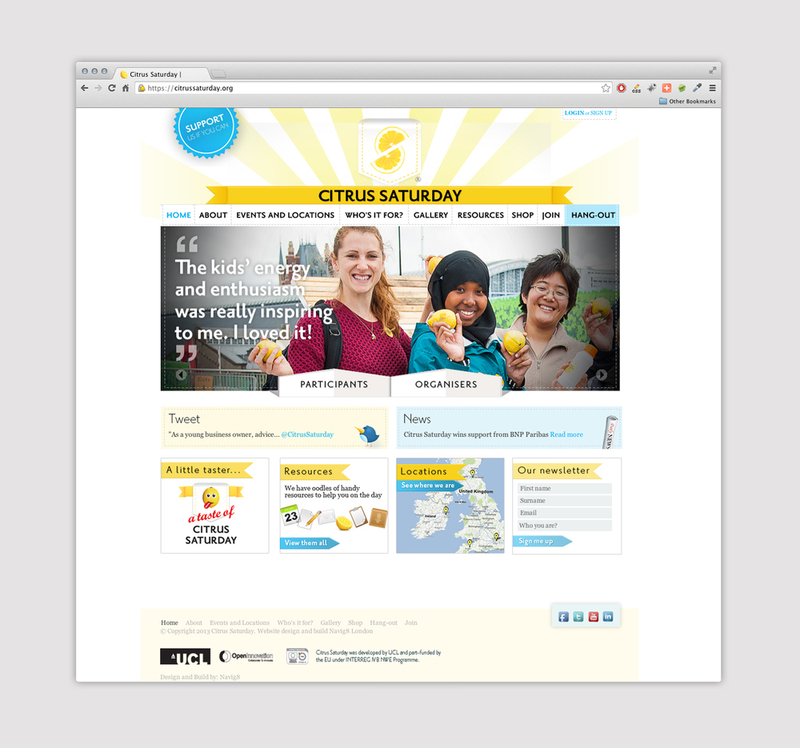 Citrus Saturday is a global programme designed to give children the skills and understanding required to run there own businesses. The participants set up their own lemonade business and get to keep all of the profit. Navig8 created the brand and is integral in the programmes development and continues to support this brilliant opportunity for young people. For the first time the Global Consortium of Entrepreneurship Centres (GCEC) conference will be held in the UK. Delegates will come together from across the globe to collaborate and network at this unique event. Navig8 provided all marketing collateral, both on and off line and helped market the programme right up until it conference began. 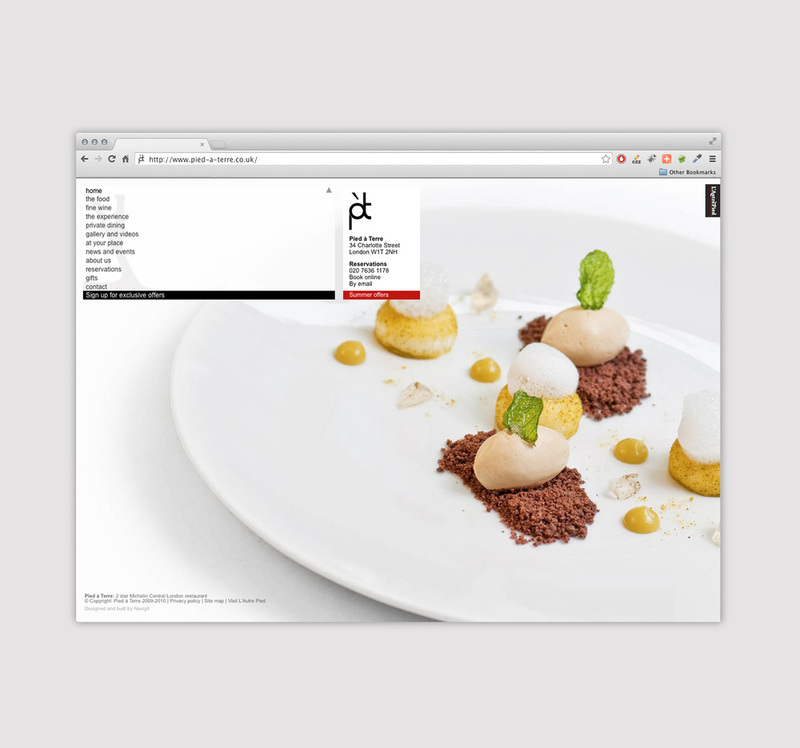 This is just one example of a luxury brand website Navig8 have designed and built. We provided all of the photographic content and an ongoing marketing service for this Michelin Starred restaurant. This site was nominated for a SXSW award.